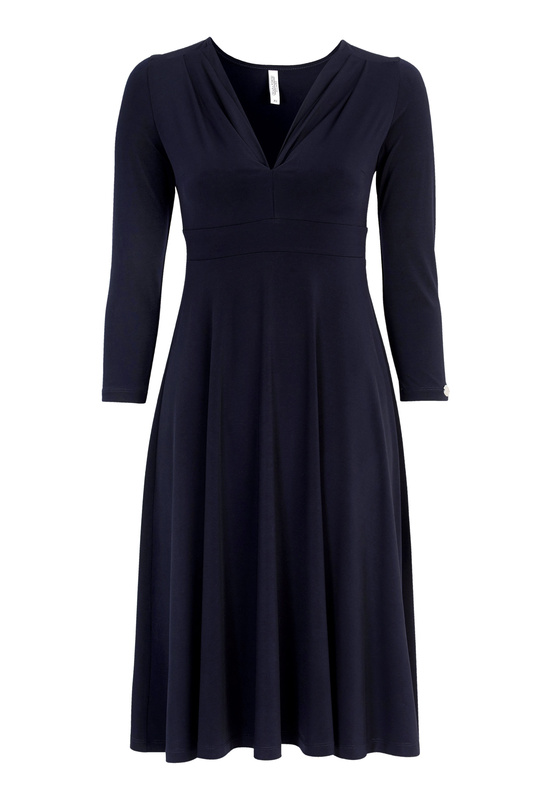 Feminine dress with a flattering cut from CHIARA FORTHI. The pretty bell-skirt and the beautifully draped neckline provide a gorgeous and feminine silhouette. Total length of the garment in size S: 99.5 cm.